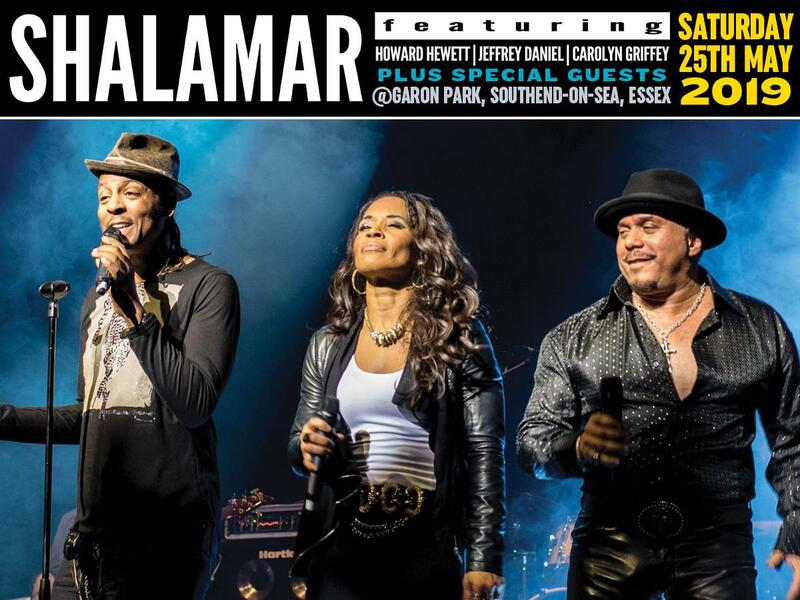 One of the World&apos;s biggest ever Soul groups SHALAMAR come storming to Southend for a massive concert!! South East Soul Festival and In the Park Concerts present. No Liquids,Alcohol or any other drink are allowed to be brought into the festival with the exception of sealed bottles of water. There are Licensed Bars at the festival selling alcohol and soft drinks and also coffee and tea vendors. Fold up chairs can be brought into the festival but please be considerate to others and place them to the sides of the Big Top arena. It's an All Ages Event - Though not specfically aimed at families children are allowed to come to the festival if accompanied by an adult - Children under 10 come free - Free Child tickets can be purchased alongside an adult ticket. A Bus Shuttle service will be running from Garon Park to Southend town centre and train stations Victoria and Central. Shttle buses will run from 9pm till 1am.